So ... I'm not much of a gamer. I play casually some tap games and mini RPGs. But I really got into Ingress for a while there, and then my son loves Pokemon ... Niantic was hitting it big for us. My son's latest thing he's become a fan of is Harry Potter. It's been amazing to be able to read the books together. 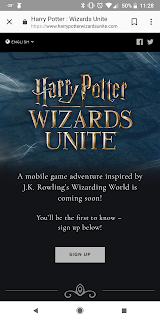 Well, Niantic seems to have followed his interests and has been teasing the release of a new AR game based on the world of Harry Potter. 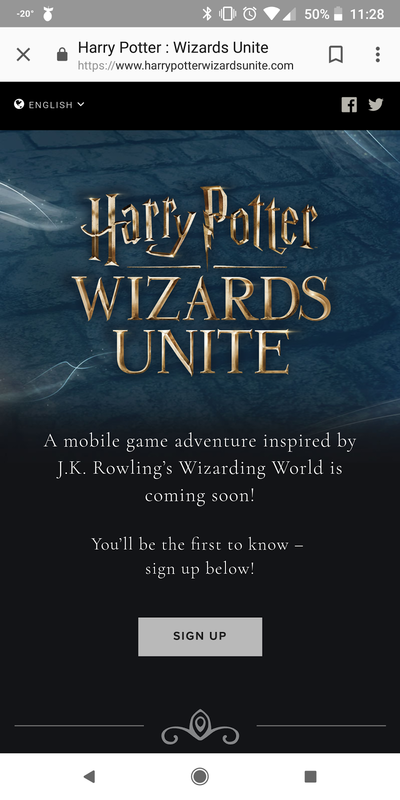 They don't say whether it'll be top down action like Ingress, or more Pokeball throwing like Pokemon Go, or something entirely new. But, at least you can go and sign up now for your interest to be included first when it rolls out.